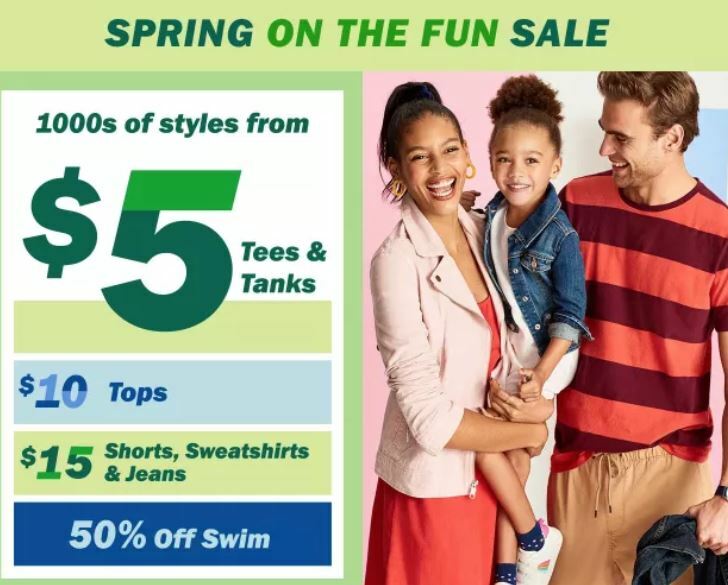 Shop Old Navy where you can cash in on 50% off tees for boys, girls, men and women, both in-store and online! Plus, for a limited time save an additional 25% off all online orders – no promo code needed, discount applies at checkout. Some exclusions apply. Shipping is free on $50+ orders or choose free in store pick up at checkout!